Fir Needle essential oil has an absolutely lovely, fresh scent - exhilarating, clean and refreshing. A few drops will remind you of fir forests, and this oil is perfect for refreshing the aroma of a Christmas tree. 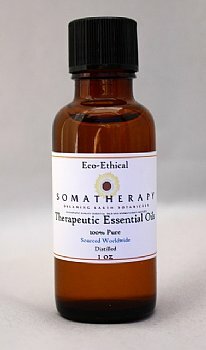 This is one of my favorite essential oils during the cold months, connecting me to the feeling of being in a forest during winter, without being cold! Fir needle essential oil is said to help with bronchitis, colds, coughs, muscle aches and sinusitis. Dilute Fir Needle well; potential skin irritant. Review: I purchased this fir essential oil to use on my artificial Christmas tree. I poured some in a terra cotta diffuser and placed it deep in the branches. it almost makes you forget it isn't a live tree!